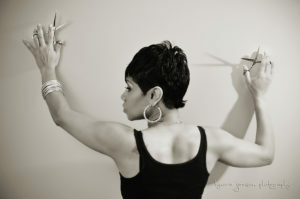 Tonya Chaney is a Master Stylist that specializes in hair styles that enhance your personal style. Tonya is a certified educator of the Design Essentials product line. A graduate of the University of Colorado at Boulder with a BS in Marketing and over a decade of corporate experience, Tonya has paired her degree and business world experience with her passion for hair to teach, to create a successful salon environment.